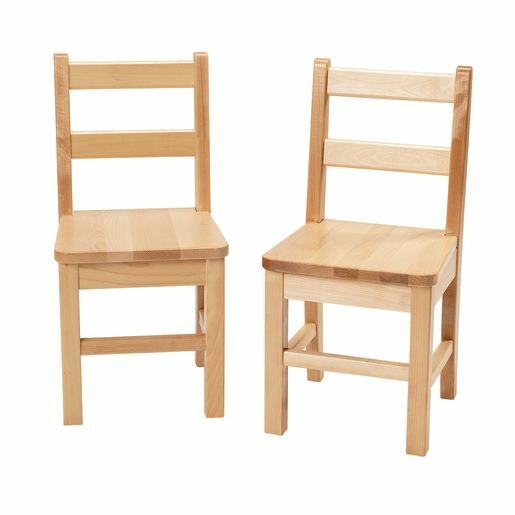 As handsome as they are durable, these birch chairs have curved back legs, making them less prone to tipping. 11"W x 10-5/8"D seat. Assembled.